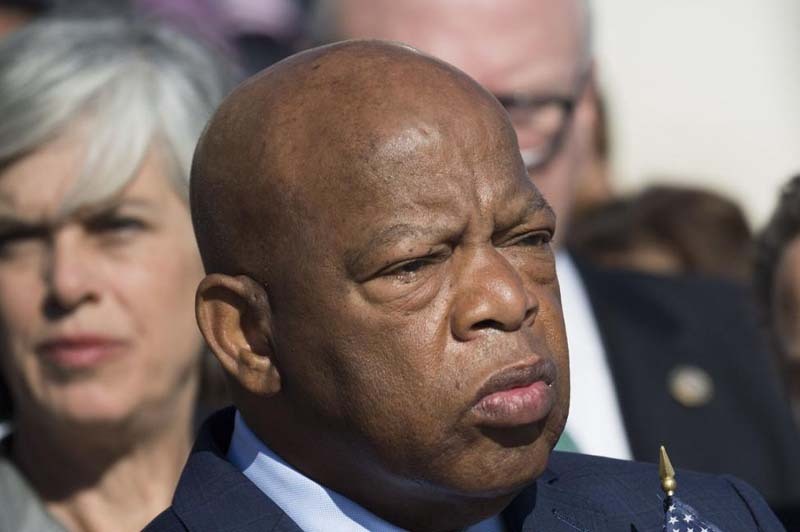 U.S. Rep. John Lewis, a Democrat from Georgia, was discharged from a hospital Sunday in Atlanta after becoming ill on a flight the day before. WSB-TV reported Lewis, 78, started feeling dizzy and sweaty during the flight from Detroit to Atlanta, where he was scheduled to attend an event. "All tests have been completed, and doctors have given him a 'clean bill of health,'" Lewis' spokeswoman Brenda Jones said in a statement Sunday night. "He thanks everyone who shared their thoughts, prayers and concerns during his stay." [post_ads]On Saturday, his office said Lewis was "resting comfortably" and was to be released Sunday. Lewis, a civil rights icon, was first elected to the House of Representatives in 1986. He serves Georgia's 5th Congressional District, which includes much of the city of Atlanta. He was born the son of sharecroppers on Feb. 21, 1940, outside Troy, Alabama. Lewis was the keynote speaker at the historic March on Washington, D.C., in August 1963. In March 1965, Lewis was a leader of the Student Nonviolent Coordinating Committee when he joined forces with Martin Luther King Jr. to lead a voting rights march out out Selma, Ala. They were confronted by heavily armed state troopers and local police. Lewis was photographed under assault and sustained a fractured skull. President Barack Obama presented Lewis with the Presidential Medal of Freedom, the country's highest civilian honor, in February 2011.